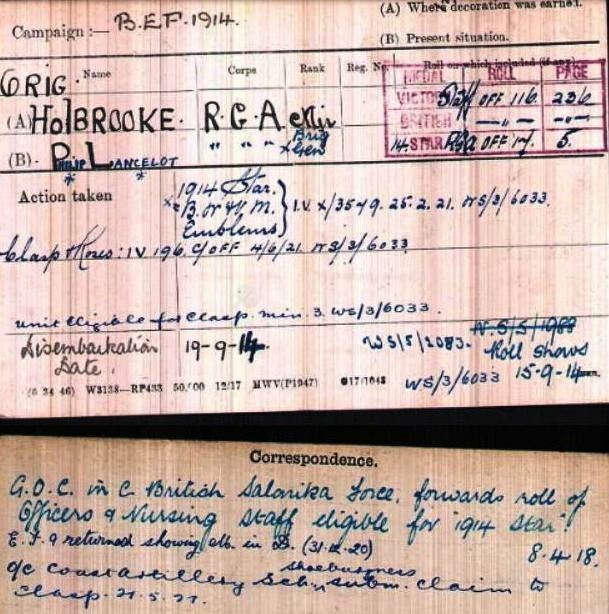 This entry was posted in Families, Homes and tagged Barbara Smith Holbrooke, Bernard Holbrooke, British Expeditionary Force, Cecil Holbrooke, Gerard Holbrooke, Holbrooke family, Indian Army, Philip Holbrooke, Royal Garrison Artillery, Stoke House by layanglicana. Bookmark the permalink. Sounds to be a good, old fashioned County family and cannon fodder for the jaws of the behemoth that was WW1. Poor Barbara! All those children and all her hopes and dreams for them. Did she manage to marry off the three daughters? I’m afraid they all died spinsters. (Perhaps they really loved being spinsters, but I can’t help adopting what I think must still have been the prevailing feeling that the point of a woman’s life was marriage and children). 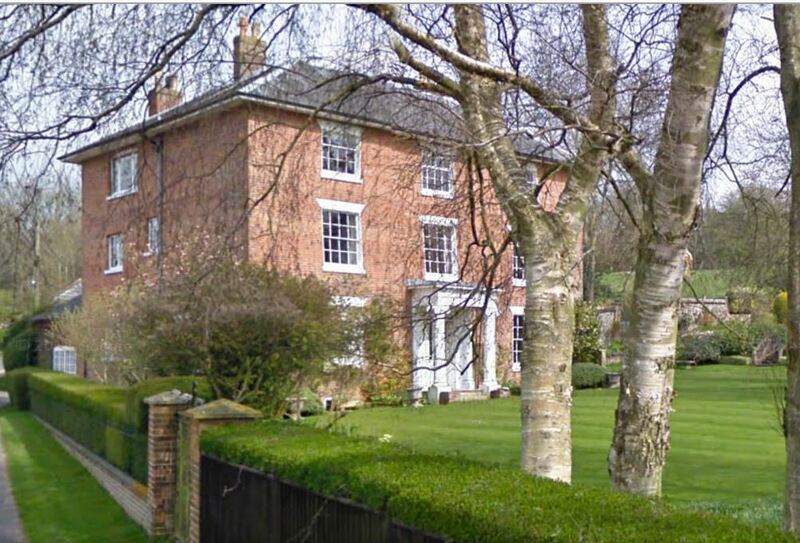 You may be interested to know that that another line of the family ( Williams master at Felsted School) married to one of the sisters their soon became a brigadier (Austin Williams) in the Indian army and represented India in Polo in 1925 . He retired to South Africa and died in the 1970s daughter Meg married into a family called Hartmann. Many thanks for commenting Tony. The junior line of the Curzon family refers to the Ropers, does it?? I am interested in what you say about the rest of the family. I am really sorry but I have still not found the reference to the polo incident. I am pretty sure it was in an obituary from his school or college where he studied medicine, but that hardly helps I know. I don’t think I can have dreamed it up entirely, but that is obviously not good enough. If I do get an answer I will get in touch with you, but am afraid you will have to regard it as ‘not proven’ at present. Fascinating. I am, by marriage, a great nephew of Maj. Gen. Philip Lancelot Holbrooke (via his second wife), and, despite the existence of descendants of his sister Gertrude (both in South Africa & this country) I have ended up with the Holbrooke family archive (or at least the majority of it). I had not heard of the polo accident, and it appears not to be mentioned among the papers & documents I have. As an interesting aside, despite Barbara’s husband’s efforts to connect his family with 15th & 16th century Holbrookes who appear at Cambridge/Oxford or as churchmen (I have his notebook showing his research), I have only demonstrated beyond reasonable doubt that Frederick George’s great grandfather (William) was a bit of an entrepreneur, starting out as a carrier, & a farmer, of Manchester in the 1730’s, before moving south to Kent where he died in 1762 as a haberdasher. My Great Uncle assumed this man was a Captain in the Royal Navy, but I have failed to find any such connection- wishful thinking by Frederick George I suspect! Frederick George’s father & grandfather were indeed military men, but it seems that even his grandfather (Bernard) was a shopkeeper in Lambeth for most of his adult life, despite being on army half pay for over 40 years (he served in the army from 1759-63 & wrote a journal of the Siege of Belle Isle, now in the National Army Museum). Of course the Roper connection is well attested, Frederick (father of Frederick George) having made that upwardly mobile marriage in 1803. Thank-you. As you see, I have rather ground to a halt for the moment. Not everyone is happy about my romancing of the lives of our fellow St Mary Bourne-ites. I am still intending to complete the research into the men who took part in the war, however. Yes, I am so sorry about the polo incident – it’s possible it referred to someone else and it’s also possible my brain is addled. Incidentally, I have a tree on ancestry for the Holbrookes – I had noted the possible connection to the mathematician Holbrooke at Cambridge in the 16th century, but had only got as far as Bernard, who married Mary Jemmit. The Mary Jemmit marriage in 1771 is the furthest back with certainty I have. Mary Jemmit was the daughter of a grocer/sugar refiner (thus a union of socially mobile shopkeepers). Bernard was on army half pay from 1763 until 1808, he died in Lambeth in 1808 aged 73 (thus born c1735), and in his will he is described as a hat seller. Everything points to this man being the Bernard baptised in Stretford in 1735, son of the shopkeeper William Holbrook, who moved from Manchester to Kent in the 1750’s. There is even a Robert Holbrook, shopkeeper of Sheppey, Kent (baptised 1744 in Stretford) who names his son Bernard Jemmett Holbrook in 1774, and in his will (dated 1777) not only names Bernard as his brother, but also names siblings and nephews & nieces who still lived in Stretford. I think the attempt to connect ones ancestors to educated, ennobled or landed individuals was a common fault in aspiring Victorian families, such as the Holbrookes, especially when the records are missing or hard to find, and no one wanted to be associated with shopkeepers! There may be a connection to the mathematician, but I have not yet found it. It will keep me busy for many years yet, I’m sure.